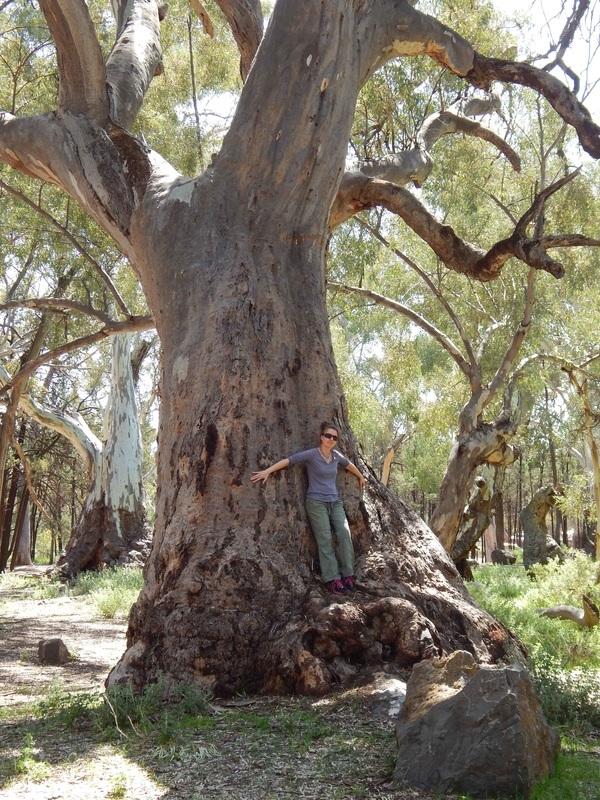 The River Red Gum, Eucalyptus camaldulensis, is the most widely distributed of all the eucalypts, being found in all mainland states. It is most common along rivers, creeks and floodplains - in fact in the more arid parts of its range it is wholly restricted to this habitat. However, in the southern part of its range it can also be found away from watercourses on both moderately hilly and flat country. It is a great survivor, being able to recover from floods, fire, inundation and drought. 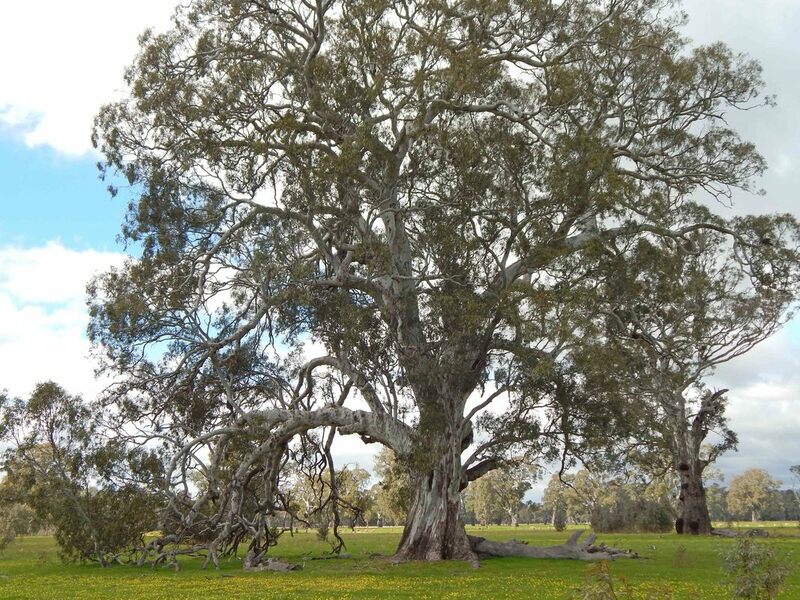 The following selection of magnificent old trees includes some ancient beasts from South Australia and the Northern Territory as well as Victoria. 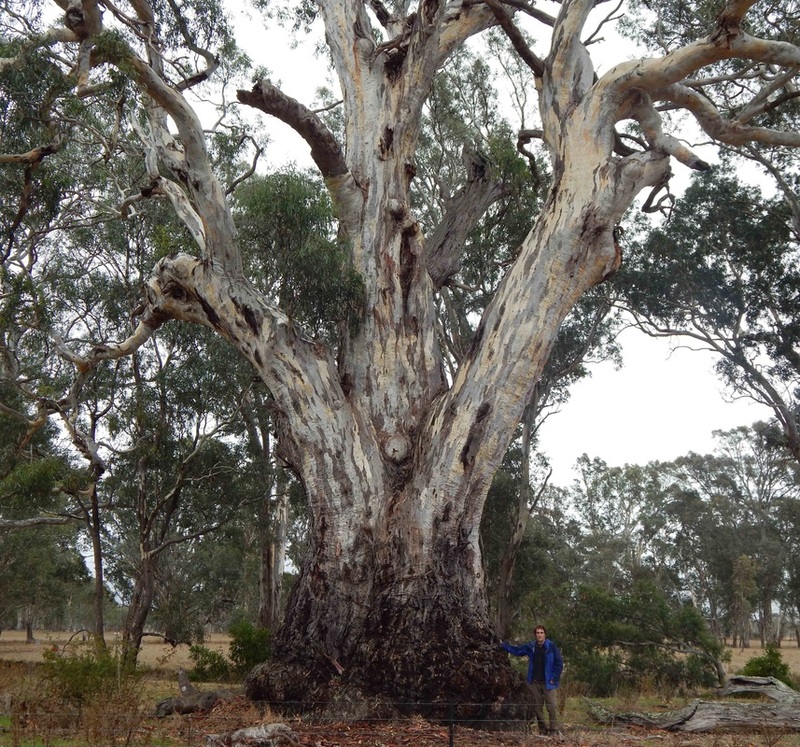 The 'Arkaba Wall' is still 12.7m girth despite being hollowed out by fire and missing a substantial amount of its trunk. 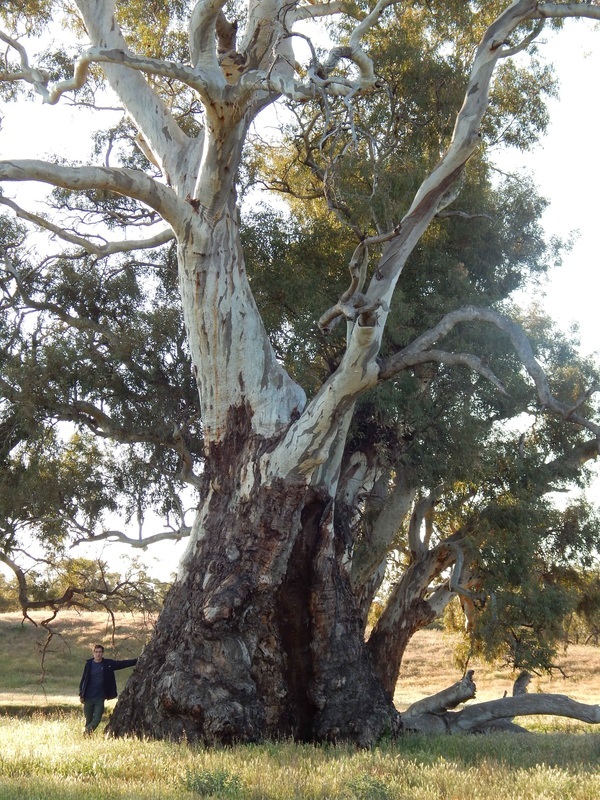 This tree, The 'Moralana Monster' Below and many other huge old river red gums can be seen along the Moralana Drive in the Flinders Ranges, South Australia. 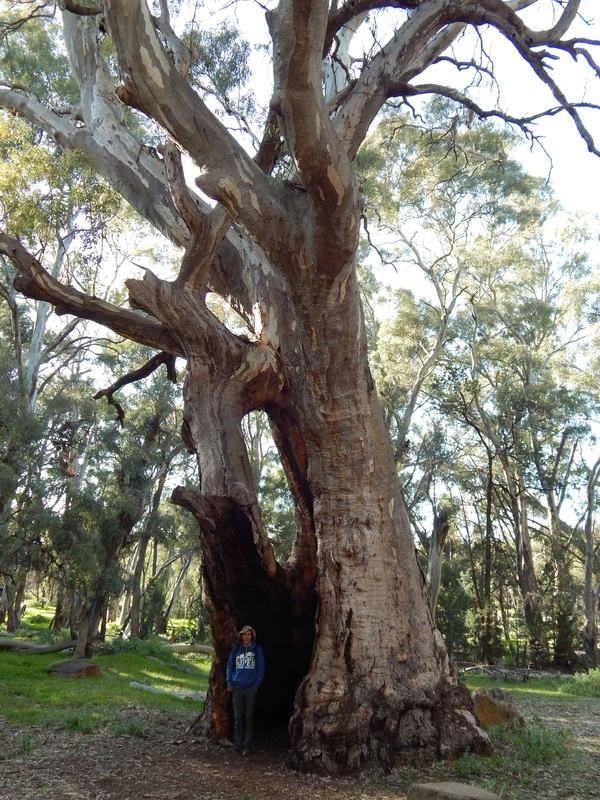 The 'Moralana Monster' is 14m girth at around 2m above the high point of ground - accurately measuring this tree's girth is problematic as it is located in a creek bed and it appears the tree has been undercut by various flood events over the centuries. 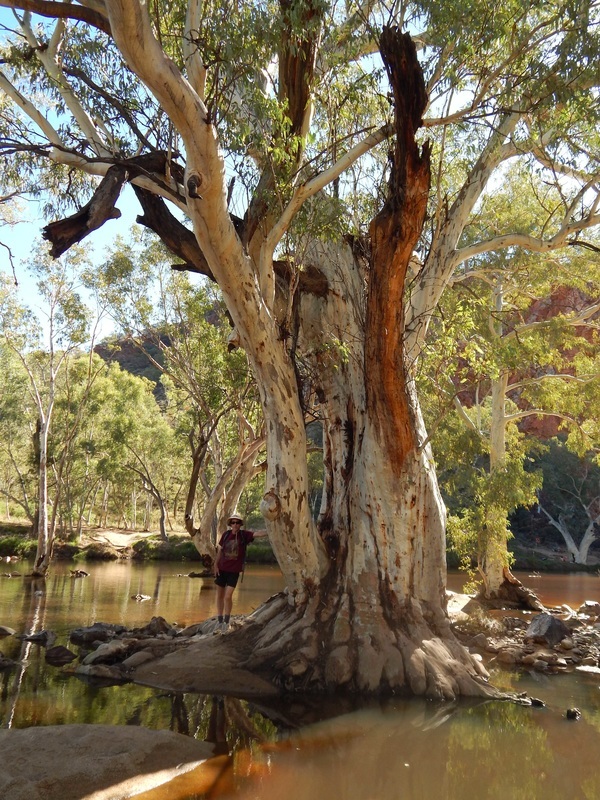 A large river red gum inundated by flood-waters located on the outlet of Ormiston Gorge, Central Australia. Sometimes these creeks dry up on the surface for months, sometimes years. 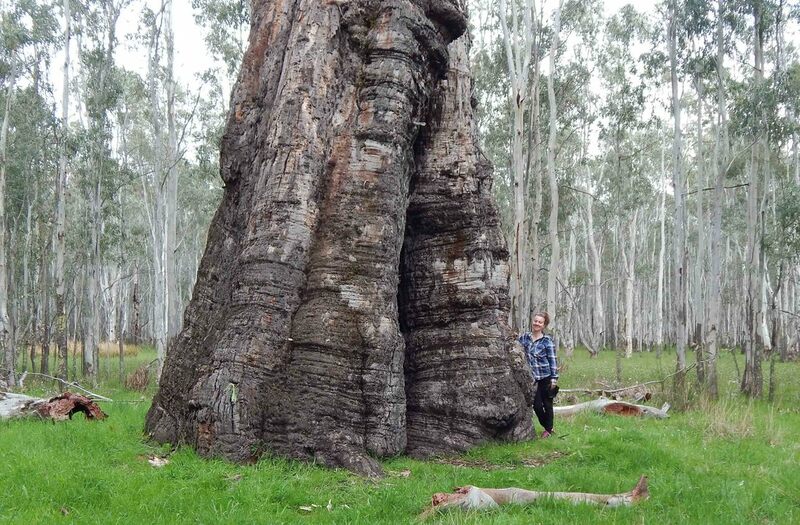 However, the roots on Eucalyptus camaldulensis are able to penetrate deeply into the subsoil to find moisture and survive the toughest droughts. You may find it hard to believe but the photos above and below are two different views of the same tree! 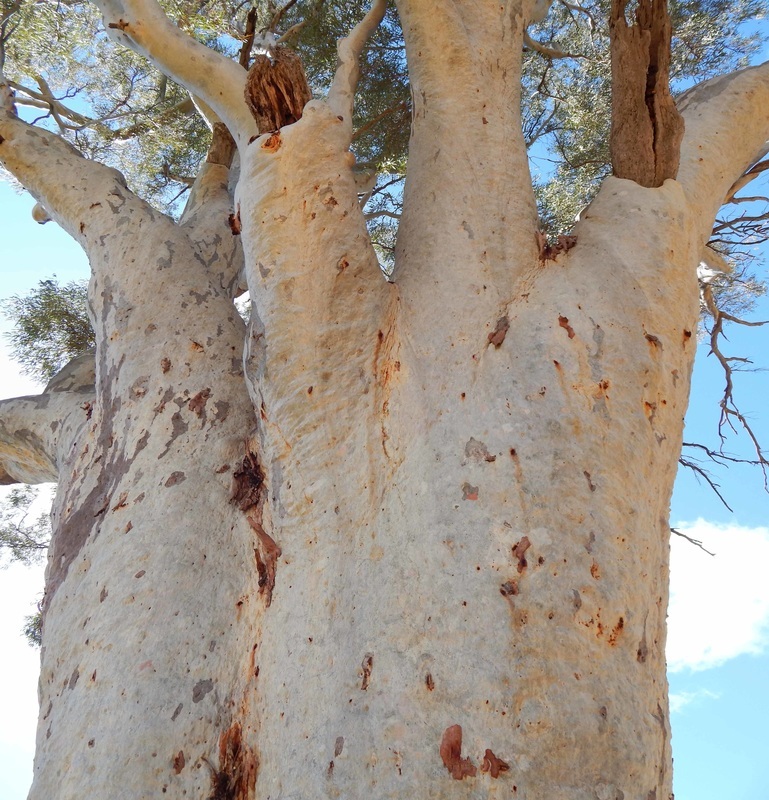 Note the 'natural window' in the view below where the tree has grown new bark to heal fire damage of its trunk. 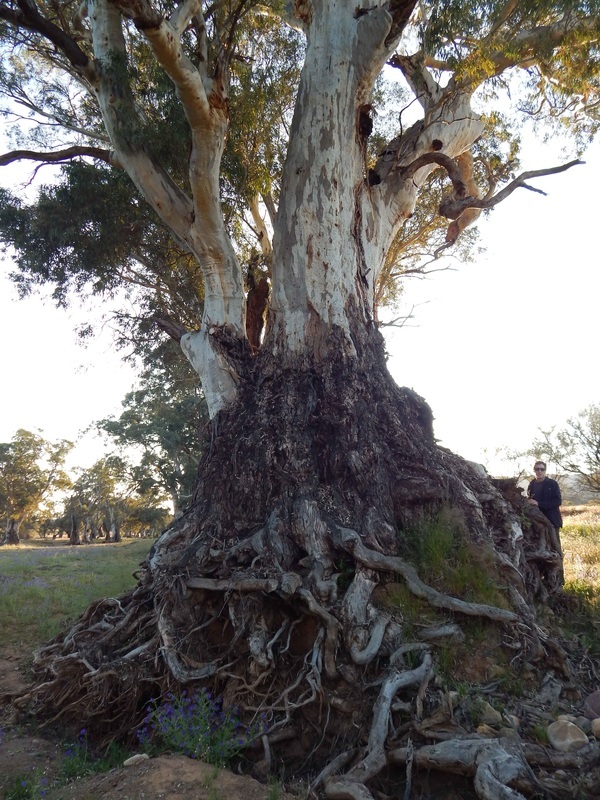 This tree is located on the walking track to Wilpena Pound, Flinders Ranges, South Australia. 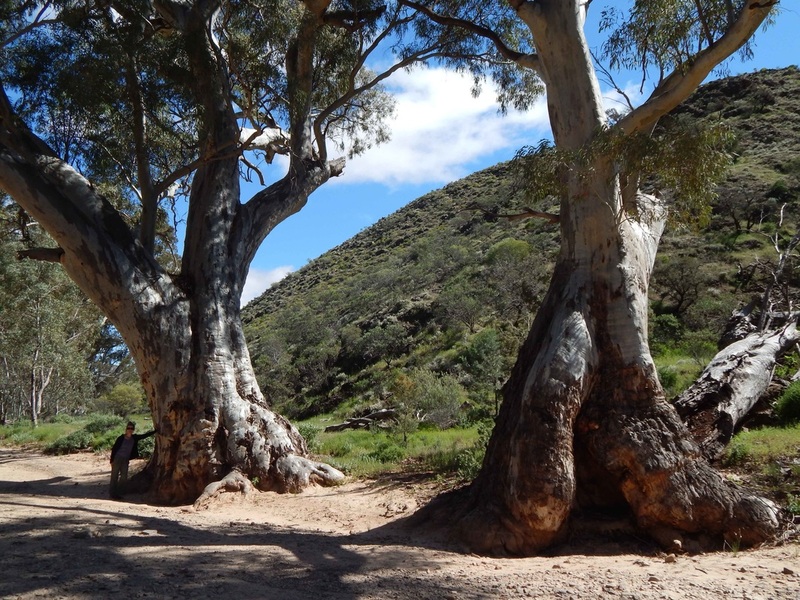 Two views of the 'Bunyeroo Beauty' an impressively healthy giant growing at the lower end of the Bunyeroo Gorge, Flinders Ranges. 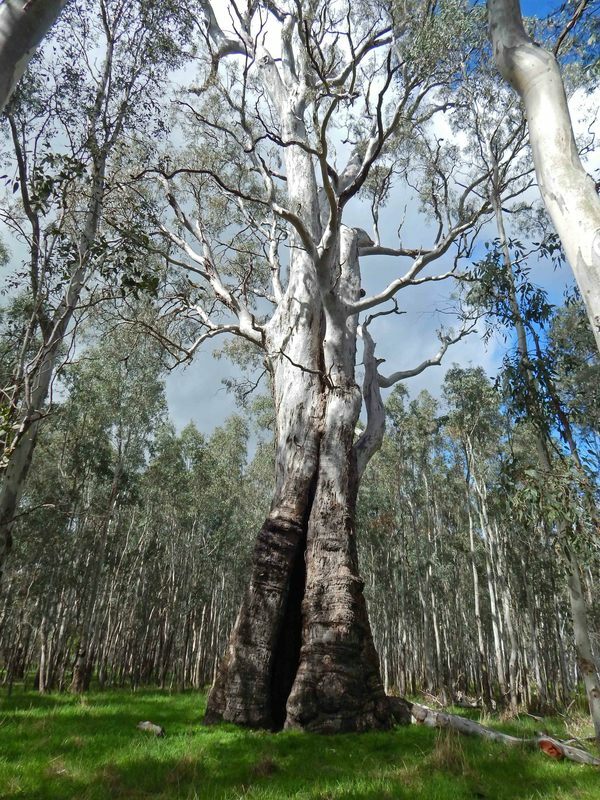 When Fyans Creek leaves the Grampians through Halls Gap it enters flat 'plain' country and associated seasonal flooding creates ideal conditions for river red gums. 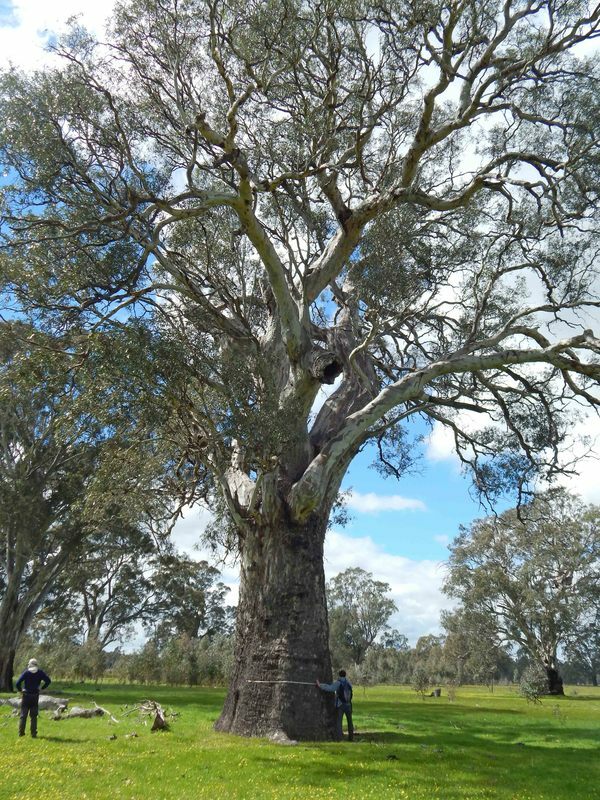 The area includes the very impressive trees photographed below: The first two photos feature the largest tree known in the area - it is 14m girth and 38m tall and contains approximately 100 cubic metres of wood in its trunk and main branches.